​I began my doula journey at age 10 (yes really!) I grew up in a very large family, around large families, and surrounded by birth. Watching my friends’ mothers, and my own mother, labor were both commonplace and magical. I was drawn to being a support person before I even knew the title “doula” existed. Although I grew up an observer, when I became a mother myself, and navigated my own three births, the need for doula support became very clear. Even as informed as I was, pregnancy, birth, and postpartum were challenging in their own ways. I learned a lot through trail and error and I saw the invaluable importance of wise-woman guidance and support. I then decided that it was my passion to continue my path and career in birth work and supporting women as one of my life’s callings. By day I run an acupuncture clinic and herbal pharmacy. I enjoy using my herbal and acupressure training in conjunction with being a birth worker. It’s amazing the power that nature and our bodies hold. I believe that our bodies are profoundly wise in what we need to heal and birth and I am honored to be the one to hold space for that to happen. I believe that birth is an unpredictable, primal, life-changing experience for every woman. There are so many things we don't know about how it will unfold, but I believe that with perspective, and professional support, we can create space for laughter and all of the unexpected twists-and-turns of labor. With gentle guidance and support, you can stay present, make informed choices, and feel positive about your birth experience. When I’m not busy with doula work, and chasing my three little girls around, I enjoy the Asheville food-scene, terrible sci-fi novels, creating with henna art, and playing with my cats. 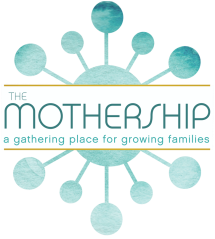 I would love the opportunity to get to know you and support you on your motherhood adventure!